Gmail is the product of Google inc, which is used to provide free emailing service. Gmail service is used to send and receive an email from anywhere. When you create an account in Google Mail (Gmail) You will get 15GB free document/audio/video/text storage. If you have created Account in Gmail then you can use this account in all Google products like Google Drive, Google Calendar, Blogspot, Youtube, Google Play Store, Google Map etc. 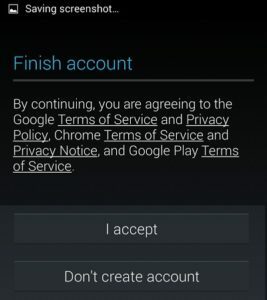 Means One Google account for everything Google. You can easily Create Account in Google using phone verification. If you don’t want to verify your mobile number then follow the below process. In this article, I am going to share how to create gmail account without phone Verification? Well, This is a very common question asked by internet user. You should know Google is restricted to make a fake account in Gmail. So google require Phone verification to confirm that you are not creating a fake account in its. But you can use below tricks to create Gmail account without Phone number verification. Oh no..!! Mark Zuckerberg’s Twitter, Pinterest, LinkedIn Accounts Hacked. 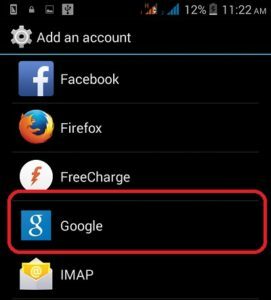 There is two methods by which you can Create Google Account without phone verification. Go to Settings >> Hit on + Add account Option in Settings Menu. If there is not + Add account option then go Account option. Now it will ask Do you want to add an existing account or create a new one ? Click on New Button. Now Enter your First Name and Last Name and then hit on next arrow. Enter unique Username and again hit on next arrow (the Note: If username is already registered the you have to re-enter new different username ). Fill Password and re-type password (8 characters minimum) Click on Next Arrow. Wait for some minutes while Saving Account setting and fill security image text below and hit on next arrow. That’s done..! Now you have created gmail account without mobile number. Firstly clear browser history by manually or use ccleaner software. Go to Gmail.com and click on Create New Account or Direct access from here. Fill details like Name, Username, Password, Birthday (under 15 year), Gender and leave Mobile phone section Then hit on Submit. Note: You have to pretend that you are kid and age under 15 year. Now you have successfully created your account in Gmail Without any mobile number. These 2 method were very useful to create gmail account without phone number verification. You must verify your mobile number For security reason because if you forget gmail password the you can’t recover password without phone number means you lost your account forever. I hope you like this tricks. If you got any problem in above process, Please comment below. What a nice post. I just love this post and your blog. Thanks for sharing this article about how to create a gmail account.it is useful for me..
Really interesting article. Thanks for sharing.